2 Which Strains are good for Weight Loss? By now most people are likely familiar with the benefits of probiotics for digestive health and immune system function. Now, several studies suggest that probiotics are some of the most effective home remedies for weight loss that helps with losing weight and reducing belly fat. With obesity emerging as one of the leading chronic diseases in developed countries, more and more people are struggling to maintain their weight and becoming victims of fad diets and deceptive weight loss pills that just don’t work. But the good news is that there are certain probiotics, specifically from the Lactobacillus family that can promote weight loss by inhibiting the absorption of dietary fat and increasing the level of hormones and proteins related to appetite control and fat storage. But you might think, “Which are the best probiotic strains for weight loss?” and “Which is the best probiotic supplement for weight loss?” In this article, we have answered all these questions and prepared a list of some of the best probiotic supplements for weight loss that you can choose from. Our digestive system is home to millions of microorganisms – both friendly and harmful. There are two main types of good bacteria present in the gut – bacteroidetes and firmicutes and a person’s body weight seeds to be determined by the balance of these two types of bacteria. People suffering from obesity usually have firmicutes dominance and fewer numbers of bacteroidetes compared to people having normal weight. Study – There are a number of human and animal studies which show that people with normal body-weight have different gut bacteria compared to that of overweight or obese people (1). Another animal study shows that when the gut bacteria from obese mice were transplanted to the gut of lean mice, they gained fat (2). Certain strains of probiotics, specifically from the Lactobacillus family prevent the absorption of fat from foods and increases the amount of fat excreted with feces. Probiotics also promote weight loss by increase the release of satiety hormone GLP-1 that helps to reduce appetite and burn more calories and fat. Probiotics may also increase the level of protein ANGPTL4 which reduces fat storage in the body. Study – The findings of a study published in the Journal of Functional Foods suggests that probiotic supplements may prevent intestinal fat absorption. Study researcher Peter Jones of the University of Manitoba administered a daily serving of yogurt to 228 overweight volunteers for a month and a half. Half the participants were given a yogurt spiked with wither Lactobacillus fermentum or Lactobacillus amylovorus. After a month and half it was seen that those ate the yogurt containing L. fermentum had reduced body fat by 3% and those who ate the yogurt containing L. amylovorus lost 4% body fat and most of the fat loss was abdominal fat (3). Losing weight is as important as prevention which stops fat from accumulating after weight loss. There are some small scale studies which indicate that some probiotic strains may prevent weight gain even if a person follows a high calorie diet. Study – Researchers at Virginia Tech conducted a 4-week, double-blind, randomized controlled trial in 20 healthy, non-obese men aged 18–30 years. All the participants were put on a diet for weight gain that containing an excess of 1000 calories. The participants were divided into 2 groups. One group was given a broad-spectrum probiotic supplement called VSL#3. The other group was given a placebo. It was seen that the probiotic group had reduced gain in body mass and fat mass compared to the placebo group (4). Which Strains are good for Weight Loss? This strain of bacteria has generated the most positive results for its effects on weight loss. There have been numerous studies in rodents which prove its anti-obesity effects (5). In a double-blind, randomized, placebo-controlled intervention trial, 87 subjects with higher body mass index (BMI) and abdominal visceral fat area were given fermented milk with or without LG2055 for 12 weeks. It was seen that at the end of 12 weeks the group consuming LG2055 had significantly decreased abdominal visceral and subcutaneous fat areas. Their body weight and other measures also decreased significantly, but none of these parameters decreased in the control group (6). This particular strain of probiotic bacteria can promote remarkable weight loss in women. A study published in the British Journal of Nutrition revealed that researchers put 125 obese men and women on a weight loss diet for 12 weeks. During this time half the subjects were given a probiotic supplement contains Lactobacillus Rhamnosus and the other half was given a placebo. It was seen that on an average the women taking the probiotic supplement lost 4.4kg while the placebo group lost just 2.6kg. But there was no difference in weight loss among males in the two groups (7). This is a strain of gut bacteria that has showed promising results in weight loss studies in recent times. This particular strain is believed to have anti-inflammatory effects in humans that lead to positive weight loss results. In a study involving 49 overweight and obese subjects, it was seen that the subjects with higher levels of Akkermansia Muciniphila in their gut had better clinical measures after going on a diet such as greater reduction in visceral fat compared to those having lower level of Akkermansia Muciniphila (8). This is by far the most potent probiotic supplement for weight management that provides 50 billion CFUs per serving, which is almost 10 times more than other supplements. The high level of live organisms per serving speeds up metabolism and promotes fast weight loss. It also gives an energy boost which will help you to be more active. This supplement includes 11 different probiotic strains including Lactobacillus Gasseri and Lactobacillus Rhamnosus the two beneficial strains for weight loss. It also helps to relieve digestive discomfort, reduce cholesterol, stress and anxiety, improve liver health and provides protection against free radicals. It also contains NutraFlora fiber that works as a prebiotic and helps colonization of the probiotics in the intestine. This is a 100% natural and vegetarian supplement that is dairy-free, gluten-free and non-GMO. The extra-strength formula ensures that the microorganisms stay alive and healthy for a prolonged period of time. It is a shelf-stable product that does not require refrigeration. This supplement is made in a FDA and GMP certified facility and its potency and purity are backed by 3rd Party Lab Certificates. 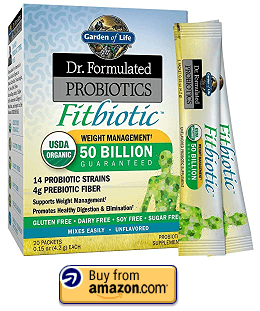 This is a doctor formulated probiotic supplement that is targeted towards weight management. This supplement comes in powder form and each box contain 20 one daily sachets that makes it easy to take. This supplement contains 14 different probiotic strains including L.gasseri and L.rhamnosus that have been studied for weight loss support. This supplement also supports digestive health and boosts the immune system. Each serving of this supplement provides 50 billion CFUs of live culture to the intestine. This supplement also includes organic Acacia that acts as a natural prebiotic which helps to probiotics to thrive. It is a shelf stable supplement that required no refrigeration. It is USDA certified organic and vegetarian and absolutely dairy free, gluten free, soy free and sugar free. This is yet another high potency probiotic supplement that provides 50 billion active bacteria per serving. But the speciality of this supplement is that it has been developed from natural food growth media. This supplement includes 14 tested life enhancing bacterial strains of Bifidobacterium and Lactobacillus including L.Gasseri and L.Rhamnosus that aids weight loss, boosts the immune system and supports digestive health. This is a 100% natural and vegetarian supplement that is dairy, soy and gluten-free, non-GMO and farm fresh. This supplement can withstand up to 7 days of normal temperature which eases the shipping process but it needs to be refrigerated as soon as the package is received. This is a time-release probiotic formula that ensures that the capsule withstands the harsh stomach acids that deliver the live microorganisms to the large intestine, which is a difficult task for most regular probiotic supplements. Each serving of this supplement provides 5 billion CFUs of live culture which makes it suitable for general use and weight loss. It includes 15 different strains of probiotics including L.Gasseri and L. Rhamnosus. It also contains prebiotic FOS that acts as nourishment for the probiotics. This supplement accelerates fat loss by boosting the metabolism. It also helps to relieve digestive disorders such as gas, bloating and constipation and improves mood and energy levels by enhancing nutrient absorption. This supplement comes in easy-to-swallow time-release micro-pearls form. All you need to do is take 1 pearl every day. It is a 100% vegetarian supplement free from yeast, lactose, soy, gluten, wheat, nuts, preservatives and GMOs. 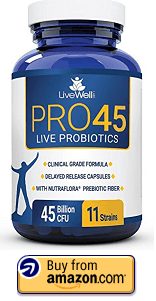 This is a clinical grade probiotic formula that guarantees 45 billion live cultures per capsule. This supplement contains 11 patented and clinically studied probiotic strains including L.Gasseri and L.Rhamnosus that promotes stronger immune system, supports digestive health and helps to fight against occasional diarrhea and aid weight loss. It also contains NutraFlora prebiotic fiber that supports the colonization of the probiotics in the intestine. The supplement comes in the form of delayed release capsules that have the capacity to survive harsh stomach acids and deliver the live microorganisms to the intestine. This is an NFS certified vegan supplement that is free from dairy, gluten, soy, preservatives and GMOs. The manufacturer also offers a 365 days money back guarantee on the product. This supplement is also known as “The Fitness Probiotic” because it is mainly targeted towards promoting weight loss. This supplement provides 3 billion CFUs of Lactobacillus Gasseri per capsule. L.Gasseri is a unique probiotic species that aids weight loss by promoting fat metabolism and supporting leptin production. Leptin is the satiety hormone that inhibits hunger and regulates energy balance in the body. Like other lactic acid-producing bacterium strains it also supports digestive health. This supplement comes in the form of delayed release veg capsules that withstand the harsh acidic environment of the stomach and deliver the liver microorganisms to the low GI tract. This is a 100% vegetarian supplement that has been manufactured as per GMP guidelines set forth by the FDA. Other than improving digestive health and boosting the immune system a probiotic supplement can also aid weight loss and reduce intestinal fat by reducing inflammation and reducing the number of calories absorbed from food. But it is important to choose a supplement that contains the right strains and combine it with a healthy, whole-food based diet and daily physical activity. 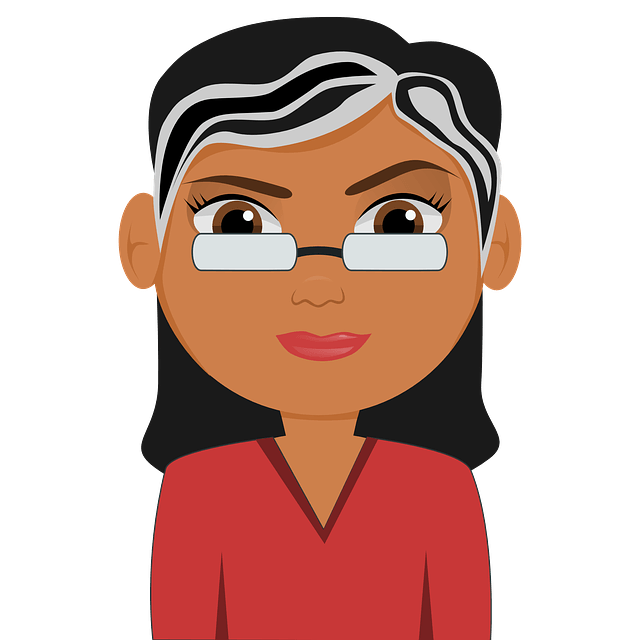 Check out this article for other great remedies for losing weight on the face, belly, and the whole body this article also includes using acupuncture, Aloe Vera, Bee Pollen, Honey and cinnamon, Coconut oil, Garlic, Lemons, Oolong tea, and Topiramate.